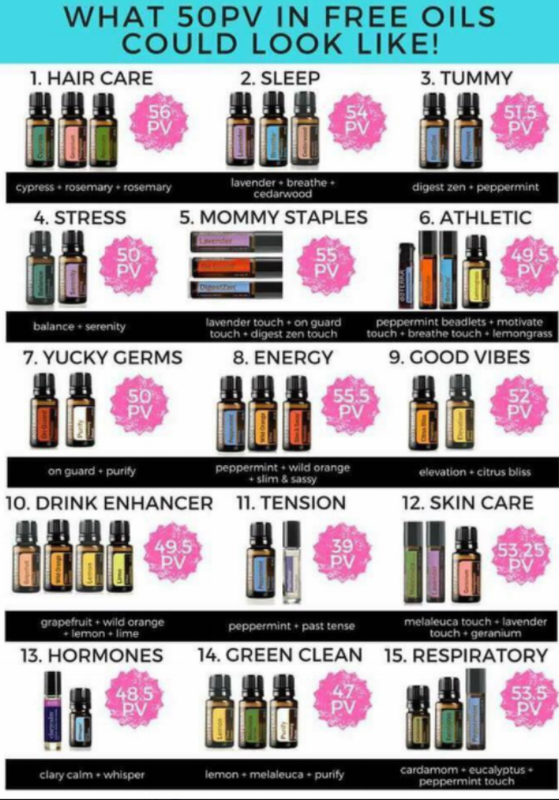 Below are the top 10 essential oils in the Home Essentials kit, and the Essential Collection Kit. To order any oils at retail prices, click HERE. Here's a great article outlining research John's Hopkins University is doing on using oils as the new antibiotic, from Journal of Infectious Diseases & Preventive Medicine. Here is a video that outlines doTERRA's co-impact sourcing. It's all about supporting the global economy and doing our part to help those in need. I diffuse this oil beside my bed every night! It supports my breathing (I have asthma), and it also helps with snoring (my husband snores)...I wake up easily with snoring, and i don't wake up near as much as I used to. CLICK HERE for more info on this oil. LEARN MORE ABOUT doTERRA FOR ATHLETES. Allergy relief. In a vegetable capsule add 2 drops of lemon, 2 drops of peppermint & 2 drops of lavender. Take internally 1 - 2 times a day. You can also diffuse this blend in a diffuser. Note that citrus oils cause photosensitivity. If applying to skin, wait 12-24 hours before exposing skin to the sun. This blend is on repeat in our home. We diffuse. We use topically. We take internally. I start using it as soon as I get a tickle, and I haven't gotten really sick since I added this into my self-care routine. Here is a PUB MED (science research) article about the blend and the influenza virus. Learn more about On Guard products HERE. (Besides the oil, doTERRA makes a supplement, toothpaste, cleaning concentrate, hand soap, laundry detergent, & throat drops (my fave). This is one of my favourite oils–for all the reasons listed to the left of this. Peppermint was the first essential oil I bought about 20 years ago. I use it for head tension relief. When I discovered the doTERRA version, I was blown away by how much better it was than the grocery store variety. I also appreciate Dr. Axe's information about oils. Here he talks about PEPPERMINT. This oil grounds me. I use it for emotional support and for good skin...(it has anti-aging qualities). Here is some more info about the amazingness (I know it's not a real word) of this oil. Here's a DR. Axe article–8 Uses for Frankincense. I was able to throw out all my Tums. Yippee! Here is some more information about this blend. It's available in many products besides the oil. Read more about this oil HERE. Note that this is a hot oil. Do not drop directly in your mouth. Here is a video about the effectiveness of Oregano and Tea Tree oils in fighting bacteria. Powerful. To read more about Tea Tree, CLICK HERE. Dr. Axe article, "Top 10 Tea Tree Oil Uses"
Calming. Sleep. Good for skin. This oil is also on repeat in our home. So good for so many things. Emotional Aromatherapy: Psychology Meets Chemistry. How do I get my hands on these oils? You can enrol with a kit! The most popular is the Home Essentials kit, because it comes with a diffuser and all the oils are the 15ml size. The 2nd most popular is the Essential Collection Kit. Most people choose to begin their oils journey this way. It's cost effective, because your enrolment fee is absorbed in the kit, and you get great value for your money when you buy the oils all together. Contact Jenn about getting your kit. Or, CLICK HERE and click "Join and Save." Save at least 25% and collect points for free product. Another option is a $42 CAD enrolment fee and then you can pick and choose the oils you want. Here is a link to the product list. OR Purchase RETAIL. To shop, CLICK HERE. SPECIAL for THE MONTH OF MAY! When you enrol with a kit, you get 50 POINTS. Basically that means you get $50 USD worth of FREE PRODUCT. Who doesn't love free stuff? As and extra gift from me this month. Buy a ESSENTIALS COLLECTION kit, you get a FREE DIFFUSER BRACELET. Buy a HOME ESSENTIALS kit and get a FREE DIFFUSER BRACELET STACK. Contact Jenn to learn more! Here are some ways you can spend your $50!